When first meeting business contacts about operations effectiveness, process improvement or even a coaching opportunity, I am often asked what “program” I use. I used to struggle with that question. Will they think less of me if I don’t have some well known certification? Or, if I don’t refer to a popular business philosophy as the solution for them, will they doubt my credibility? But, with experience comes wisdom. What is more important to our collaboration is the 21+ years of corporate experience I bring to the table and the 3+ years supporting former colleagues and friends as a consultant. What matters is the success I’ve had in developing emerging leaders as a coach. What makes a difference is how I can help them improve process effectiveness, influence culture, inspire commitment, and be an example of leading with love. 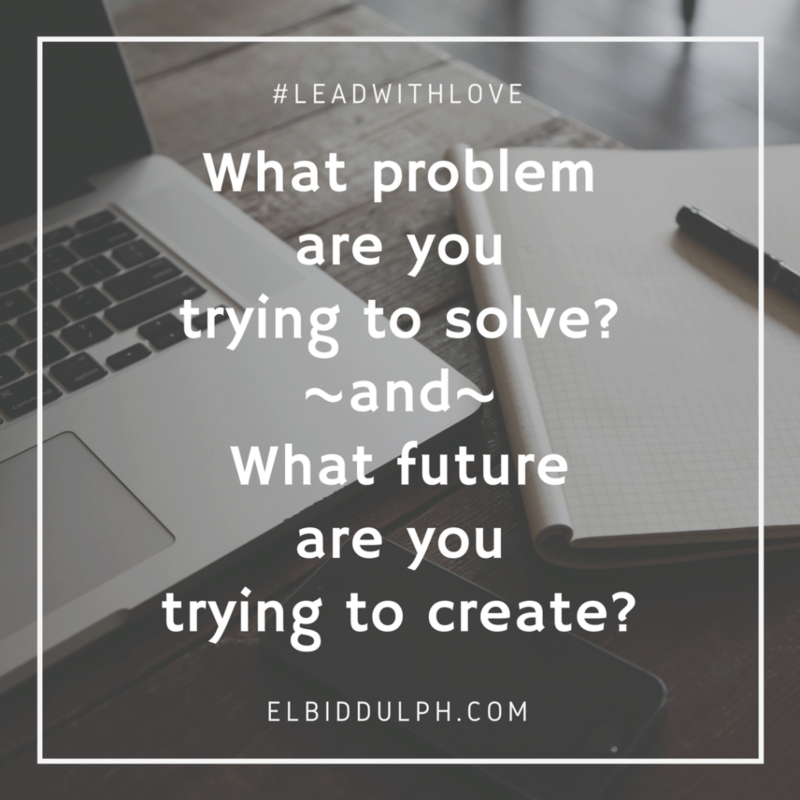 What future are you trying to create? The responses open the door to discovery. And discovery lights the path we will travel together. And that path will lead us to compelling possibilities. Then, together, we will explore options, solve that problem and create that future. That is what my clients expect. That is how I define a successful partnership. That is as much of a “program” as you’ll get, because I don’t really think you want a solution that comes in a box. You want a successful and exciting future for your team.